According to the No Kill Equation, “one of the most overlooked areas for reducing killing in animal control shelters are lost animal reclaims. Sadly, besides having pet owners fill out a lost pet report, very little effort is made in this area of shelter operations.” This is deplorable because, when shelters aggressively pursue this opportunity, they are able to return a large percentage of lost animals to their families. A prime example of the enormous impact that reclaims can have on life saving is Washoe County, (Reno) Nevada whose shelters reunite approximately 60% of dogs with their owners. In fact, Washoe County has one of the highest returned-to-owner rates in the nation. They accomplished this by being proactive in their efforts, rather than blaming the community. Let’s compare Washoe County to BARC (Houston’s animal control facility). At the time of Nathan Winograd’s assessment of BARC in September 2009, it had 1% redemption rate for cats and a 7% redemption rate for dogs. Repeat: That is a 60% redemption rate for dogs at Washoe Co. animal control, but only 7% at BARC. The following story is a perfect example of why BARC returns only 7% of lost dogs to owners. Unfortunately, this example is repeated every day. On March 14, 2010, Brian Simon lost his Chihuahua, Nino. On March 15, Mr. Simon went to BARC to search for Nino. He did not find his dog so BARC’s kennel supervisor told Mr. Simon to leave his “Lost” flyer on BARC’s bulletin board. Mr. Simon was told that BARC employees looked at the bulletin board regularly to match up lost pets. He relied on BARC’s assurances and unfortunately that was a big mistake. Those familiar with BARC know that the bulletin board is rarely, if ever, reviewed before animals are killed. Even if BARC employees were checking the bulletin board regularly, it is absurd to think that anyone could match up animals against the mountain of paper hanging there. See the picture above. It is more sickening that Nathan Winograd’s assessment report includes instructions on how to set up a lost and found program that actually works (see page 37-39), yet BARC has not even attempted to institute this program. On March 17, two days after Mr. Simon reported Nino lost, a Chihuahua matching Nino’s description was brought to BARC. (See below. Nino is on the left. The Chihuahua brought to BARC is on the right) The Chihuahua at BARC had been picked up very close to the location where Nino was last seen, yet no one contacted Mr. Simon to tell him that a Chihuahua matching Nino’s description was at BARC. On March 21, four days after arriving at BARC, the Chihuahua was killed. It is appalling that no one attempted to find his owner and he was never considered for adoption. See the Fox 26 news report here. Below is a picture of the bulletin board taken by Nathan Winograd in September 2009. Compare it to the picture of the bulletin board above taken by Fox 26. With BARC’s measly 1% redemption rate for cats and a 7% redemption rate for dogs, why has absolutely nothing changed in the last 8 months? That is 8,100 cages, that are being used, that could instead be freed up so truly homeless pets would have more time. This means BARC would kill 8,100 fewer animals which would also save $972,000 because it costs roughly $120 to house an animal for 3 days then kill him/her and dispose of the body. The only reason that those 8,100 lost dogs (and many more thousands of lost cats) are being killed each year is because BARC has not instituted an effective program that would reunite these animals with their owners even though instructions for an effective program are literally sitting at BARC and at city hall. So, when shelter directors or city politicians tell people that there are “too many pets and not enough homes” or claim that shelters “must” kill because irresponsible people have caused pet overpopulation, remember this story. Remember little Nino, and the other 8,100 dogs just like him, with families who want them back, but who will be killed at BARC this year. As I’ve said in previous articles, whether a shelter stops killing depends on the shelter director. So, I have to ask, when will the Mayor and city council hire a shelter director for BARC who will pursue every avenue that has been proven to save lives? Note 07/05/17: Although the above blog was written more than 7 YEARS ago, BARC leadership still has not implemented an effective Return to Owner program. BARC’s Return to Owner rates have been appallingly low every year since this blog was written. BARC’s Return to Owner rate was only 6.88% in 2016 — 9.68% for dogs and only 1.1% for cats. An effective Return to Owner program would cost little to nothing to implement but could save literally thousands of lives, and would actually SAVE money for BARC/City of Houston because of reduced intakes. Yet BARC’s leadership has not attempted to implement such a program. This is horrendous and inexcusable. And again, this is a shelter leadership issue. 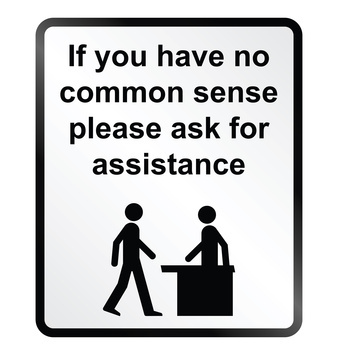 But, this issue has a solution….. a pink slip. Please SPEAK OUT for the pets at BARC and demand shelter leadership who will work hard to save lives. Click here for an easy way to speak out for shelter pets. It takes only seconds, but could help save thousands of lives. Houston, TX – In response to Houston Voters for Companion Animals‘ Candidate Survey, Sylvester Turner stated “Implementing a no-kill policy should be the ultimate goal for Houston’s animal control. As mayor, I will champion policies in pursuit of that goal”. Yet, during Mayor Turner’s 1st year in office, BARC KILLED or LOST 6,600+ pets. During the same year, 200+ OPEN ADMISSION shelters, just like BARC, serving 500+ cities and towns,SAVED 90% up to 100% of all pets. Many shelters are saving ALL healthy and treatable pets even though they have HIGHER Intakes Per Capita than BARC (meaning they have a harder job saving shelter pets than BARC’s director). Those shelters accomplished their high Save Rates because of compassionate, hard working shelter LEADERSHIP who has COMPREHENSIVELY implemented the programs of the No Kill model of sheltering. BARC could stop killing pets too IF it had the same type of leadership. Please SPEAK for shelter pets and ask Mayor Turner to keep his campaign promises. He could end the killing of shelter pets at BARC by instructing his employees, BARC leadership, to COMPREHENSIVELY implement proven solutions — or he could hire new leadership for BARC who will. CLICK HERE EASILY SPEAK OUT FOR SHELTER PETS. It will open a pre-written email to the mayor and city council. It takes only seconds, but could help save thousands of shelter pets. Houston, Texas – I received December 2016’s intake and outcome records for BARC (Houston’s taxpayer funded animal control facility). I calculated the Save Rates, and although they are slightly better than 2015, 6,643 pets were killed by BARC in 2016. That is an average of 553.5 pets killed every single month, or 18.2 pets killed by BARC EVERY SINGLE DAY OF THE YEAR IN 2016. That is nothing to be proud of, in my opinion. Here is a side-by-side comparison of BARC’s 2015 and 2016 numbers. BARC’s monthly intake and outcome reports (gathered thru a Public Information Request), are posted here. From looking at the huge numbers of pets still being killed, it is pretty clear that shelter leadership could do many things that would increase the Save Rates, both immedately and in the long term. The first thing, that would have an immediate impact, is a comprehensive offsite adoption program. This would not only save more lives, but it would also bring in additional revenue to BARC. Win-win. Comprehensive is the key word that BARC leadership continues to ignore though. Houston stretches an enormous 623 square miles. It should be clear to anyone that BARC’s facility on Carr St. is not convenient to a large number of Houstonians i.e. potential adopters. In addition, some people will absolutely never, ever, go to a kill shelter. This is why comprehensive offsite adoption venues are critical to saving enough lives to end shelter killing. Nathan Winograd told BARC and City of Houston officials this back in 2009. When Wingorad worked at the San Francisco SPCA, they had SEVEN offsite adoption venues, EVERY SINGLE DAY of the week, throughout the city. San Francisco is about 49 square miles. After quite a bit of searching of BARC’s website, I finally found this calendar at the bottom of a page. The calendar lists ONE offsite adoption venue only 3 days per week. And TWO offsite adoption venues, only 1 day per week…. in a city that spans 623 square miles. BARC should have ten times the number of offsite adoption venues that San Francisco had, but instead they have a tiny fraction of that amount. And to make matters worse, 2 of the 4 days that show offsite adoptions are work days for most people i.e. potential adopters. Yet the hours BARC is available for adoptions is 11 to 4 or 11 to 5. This means that the vast majority of the target adopting public will be unable to utilize these adoptions because they will be working. In addition, BARC’s Carr St. facility is open for adoptions when most of the target adopting public would be at work. The below is posted on their website. Considering the traffic and the sheer size of Houston, most working people would never be able to adopt from BARC during the week. This is NOT comprehensively implementing an offsite adoption program. Likewise, most people with jobs, would be unlikely to be able to get to BARC to search for their lost pets before BARC closes. Since the stray hold period is only 3 days, a lost and loved, pet could be killed by BARC before the owner had the opportunity to get to BARC to search for their pet. Making small changes would solve this issue. Simply altering the hours that BARC is open to the public for adoptions, and to search for lost pets, would save many lives and also save money. It would get more pets into loving homes, or back to their families, and it would save tens of thousands, if not hundreds of thousands, of dollars every year. Something so simple, and free, could have a profound impact on lifesaving. So, why isn’t it being implemented by BARC leadership? Another program that could save thousands of lives, and hundreds of thousands of dollars is an effective and comprehensive Return to Owner program. BARC’s Return to Owner rate has hovered at about 7% for years. Yet, other Open Admission, No Kill shelters have RTO rates of 60% to 65%. I calculated that if BARC comprehensively implemented the same Return to Owner program that other shelters implemented, it could free up 8,100 kennels per year for pets who are truly homeless. It would also save over $900,000…. because it costs money to intake, process and then kill pets. Nathan Winograd also told BARC/City of Houston that this program should be implemented back in 2009. This program would cost little to nothing to implement, yet BARC leadership has not bothered to comprehensively implement such a program. Again, I have to ask why not? So, the bottom line is that the Save Rate at BARC, has increased slightly from 2015 to 2016. But more than SIX THOUSAND animals were still killed by BARC in 2016 while simple, cost effective and FREE programs, were not comprehensively implemented. This is horrendous and inexcusable. And as usual, this is a shelter leadership issue. Please SPEAK OUT for shelter pets. If we do not demand better from our shelters, the killing will never end. 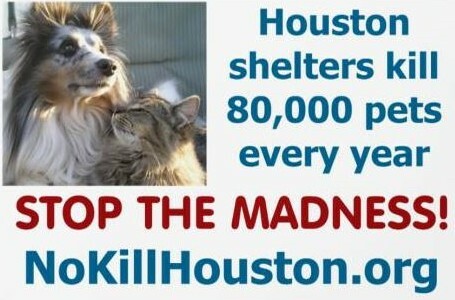 No Kill Houston has made it very easy for you to contact your elected officials, who could increase the Save Rates. They have programmed a link that will create a pre-written, pre-addressed email that you can send. Click here to send your email and SPEAK OUT for pets at BARC. Houston, TX – Last year, I wrote about Councilman Boykins’ plan to pay $50,000 to BARC (Houston’s animal control) for BARC to work overtime doing “sweeps” in his District. Of course, we knew this would mean more death to more pets at BARC. Last year, I blogged about this issue here and here and Randy Wallace with Fox 26 News reported on it here. Many people called and wrote Boykins and asked him to consider non-lethal options instead, but he refused to listen. But BARC killed 7,715 pets in 2015 alone, so everyone knew that BARC leadership would not require that his employees work harder to get these additional pets adopted, and Boykins did not require that BARC use his $50,000 to save those lives. Boykins just wanted the pets picked up. He didn’t care what happened to them. Anyone familiar with BARC knew that these sweeps would result in mass slaughter, and we were right. The kennel cards of those pets picked during Boykins’ “$50,000 sweep” show that, of the 224 pets picked up , 74 pets were killed by BARC. 10 kennel cards do not list an outcome, so I would bet that those pets were killed as well. If those animals had been adopted out or sent to rescue, there would like be notations about it. The above equals a 33% to 37.5% KILL RATE. And, of course, that does not include the pets, that were already at BARC, and who were killed to make room for the increased intakes. The kennel cards for the animals picked up in Boykins’ $50,000 sweeps are posted here. The pictures of the dogs and cat that BARC killed are posted below. These are pets that Boykins paid BARC to kill. And BARC leadership was happy to oblige because they did nothing differently to make sure that these pets made it out alive. It breaks my heart to look into all the faces that Councilman Boykins paid BARC to kill. Remember, your tax dollars were used to kill these pets, instead of being used to save them. Demand better than this from your elected officials. 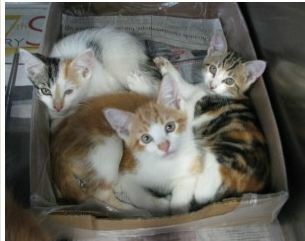 Demand that the mayor require BARC to comprehensively implement all of the programs of the No Kill model of sheltering. Click here to watch Randy Wallace’s recent report on this issue. From No Kill Houston: “To the animal lovers who want to help us help shelter pets in Houston, we need you SPEAK OUT in mass. We do not want to see a repeat of Councilman Boykins’ & BARC’s $50,000 killing spree before the Super Bowl. We have made it very easy for animal lovers to SPEAK OUT for shelter pets by contacting the mayor and city council. We have programmed a link on our web page that will open a pre-addressed, pre-written email to all. Here is the link. http://bit.ly/2iIvdXC Please use it then SHARE. Make this go VIRAL. February – 27 pets killed by BARC. 5 with unknown or incomplete kennel cards, presumed killed. March – 28 pets killed by BARC. 4 pets with unknown or incomplete kennel cards, presumed killed. April – 19 pets killed by BARC. 1 with unknown or incomplete kennel cards, presumed killed. ANIMAL LOVERS, YOUR INPUT IS NEEDED TO HELP SHELTER PETS! Houston, TX – The city of Houston is asking for YOUR INPUT on what priorities that you want the city to focus on. According to the Plan Houston website: “In 2015, Houston’s City Council took the groundbreaking step of adopting the city’s first general plan, Plan Houston. The Plan describes a vision and goals for our community and identifies twelve core strategies that represent the City’s approach for achieving the vision. The City of Houston is now actively working towards achieving the community goals laid out in Plan Houston. The next step is to understand the community’s interests so that policy makers can consider them as they develop City priorities for the next budget year. The City’s next fiscal year begins July 1, 2017. I have reviewed the city’s current plan, and could find absolutely no mention of animal issues nor addressing Houston’s high kill sheltering issues. I believe that animal lovers CARE DEEPLY about animal issues and I am asking you to tell the mayor and city council this. 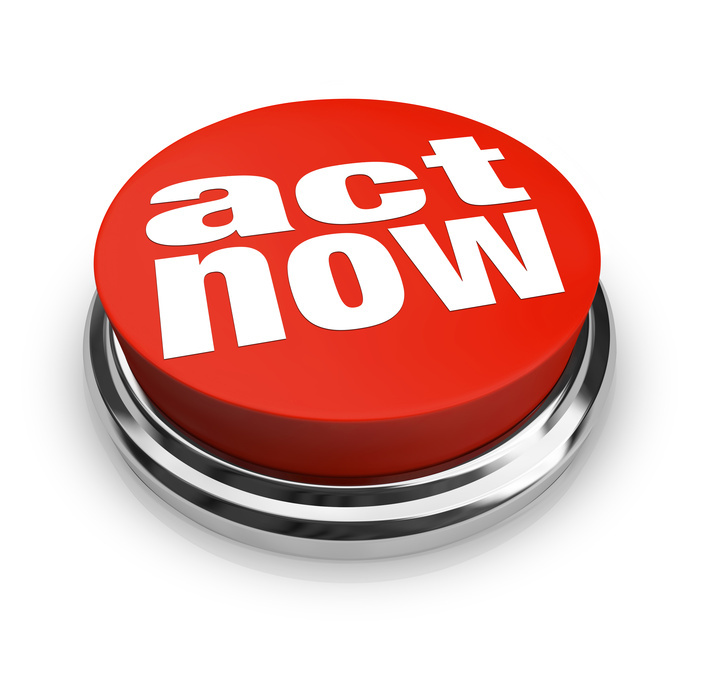 This is YOUR opportunity to tell them what is a priority for you. Please TELL the mayor and city council that you want them to work hard to end the barbaric killing of 80,000+ shelter pets every year in Houston. There is a solution to end shelter killing. But the mayor must require his city employees work hard to implement the solution comprehensively. On the Survey, there are no choices for “ending the killing of shelter pets” under Choice A, B or C, so you will have to type it in under “Other”. Then, please explain your choice in Box #3. If you need help writing a statement for Box #3, I have posted my statement below that you can copy and paste and edit as you wish. Then forward this blog to your animal loving friends and family and ask them to take the Survey as well. We need ALL Houston animal lovers to speak for shelter pets! “There are 5 kill shelters located within Houston city limits: 1) BARC; 2) Houston SPCA; 3) Houston Humane Society; 4) CAP; and 5) Harris County animal control. According to the Mayor’s Task Force report, these 5 shelters are killing approximately 80,000 pets every year. Some people believe the number is now closer to 100,000. However, there are now 200+ Open Admission shelters, serving 500+ cities and towns, who are saving 90% up to 100% of all animals entering their doors. Leadership in these shelters have comprehensively implemented a series of programs and services, called the No Kill model of sheltering which has effectively ended killing of healthy and treatable shelter pets. I want the mayor and city council to focus on putting leadership in place at BARC who will comprehensively implement the same programs and services that have ended shelter killing around the country. BARC may be better than it was in years past, but BARC also killed more than 7,700 pets in 2015 alone. That simply is not good enough when there is a proven solution to end the killing. Houston is a city of passionate animal lovers. We spend millions of dollars on our pets each year, and we spend millions of dollars to help homeless pets. Animal charities represent the largest growing sector of philanthropy. If the mayor and city council made a concerted effort to end shelter killing at BARC, Houstonians would step up to help with their time and with their donations. But, we need the mayor and city council to step up and put BARC on the right track. Will Houston shelters join the rest of the nation and stop killing for Just One Day? Houston, TX – Just One Day is a national event in which organizers ask animal shelters across the country to stop killing on June 11 of every year. Thousands of groups, across the nation, take part. And the results have been dramatic. One shelter with high rates of killing stayed open for 11 hours. Roughly 100 animals found homes, one every seven minutes the shelter was open, its most successful adoption day ever. In an Arizona animal control shelter, 88 out of 100 dogs and 28 out of 30 cats were adopted by 11 am. In another community, they ran out of animals. Yet another reported staff crying….. because they had never seen so many animals going out the front door in the loving arms of families. For many of these shelters, it was a watershed moment. Not just because animals who would have normally been killed were saved, but because of the valuable lessons hundreds of traditional shelters across the country learned. One of the primary goals of the Just One Day campaign is to not only save animals through adoption on June 11, it is to get shelters resistant to the principles of the No Kill model of sheltering — of marketing animals, of asking the public for help, of being open for adoptions at times that are more convenient for the working public and families, of using the media to save lives and of partnering with rescue groups — to commit to trying these ways of operating. So far, 95 shelters in Texas, such as Friends For Life Animal Rescue and Adoption Organization – Houston have made the pledge. Open Admission facilities such as Houston’s animal control facility, BARC, Pearland Pets – Animal Servicesand League City Animal Shelter have taken the pledge. However, Limited Admission facilities such as Houston SPCA, Houston Humane Society and Citizens for Animal Protection have NOT pledged to stop killing shelter pets for JUST ONE DAY. I have to ask why not? Shouldn’t the animal loving public and donors EXPECT them to join the nation and work to stop killing shelter pets? Will you ask them to take the pledge? Houston, TX – Last Monday I wrote about Houston city councilman Boykins’ plan to pay Houston’s pound $50,000 to do more “sweeps” i.e. round ups of stray dogs in District D. Those people who are familiar with BARC, or kill “shelters” in general, are understandable very concerned to hear this news because we all know what this usually means. It means the killing of additional pets by BARC. Randy Wallace with Fox 26 news reported on this issue, and what sweeps will mean for pets in Houston. You can watch the report here. I wrote to Councilman Boykins and asked him to consider non-lethal alternatives for dealing with this problem such has high volume, free, spay/neuter services for the effected areas. S/N will make dogs less likely to roam (males won’t be chasing females) and it also reduces dogs’ propensity to bite. “You may not be advocating for it, but that is exactly what will happen with this plan for increased sweeps. As you may know, BARC is a kill shelter and the city mandated stray hold period is only 3 days before animals can be pulled by rescues, adopted or killed. Since BARC does not have an adequate adoption program for a facility that takes in 20,000+ pets per year, BARC is perpetually full and they do kill animals every single day of the year; thousands of them every year. Increasing intakes by ramping up sweeps absolutely will cause kill rates at BARC to increase, either to the dogs that are brought in during the sweeps or the dogs that will be killed to make room for the increased intakes. 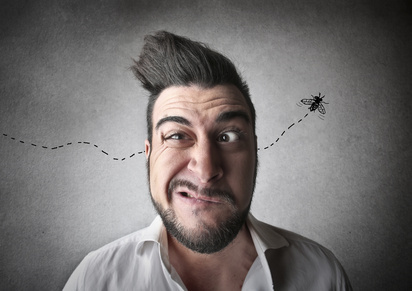 This “catch and kill” method has been tried over and over and it has never worked. In 2009, Annise Parker advocated for increasing sweeps in the “Corridor of Cruelty”. This did nothing to save pets, nor did it decrease the strays there. As I said below, there is a better solution that does not involve increasing the killing of pets at BARC which Councilmember Boykin’s plan will cause. How about trying a different approach vs. the knee jerk “solution” that has repeatedly failed? I received no reply to my email. But, it appears that Councilman Boykins is not interested in the spay/neuter release option, as he told Randy Wallace that “it will take too long”. So my next non-lethal suggestion is that he should, at the very least, use some of that money to create at least one offsite adoption facility so that the hundreds of dogs that will be picked up in these sweeps will actually have a chance of adoption; and so that hundreds of additional dogs won’t be killed at BARC to make room for the flood of dogs from these sweeps. I am again urging animal lovers to contact Councilmember Boykins and BARC management and even Mayor Turner, and ask them to make non-lethal arrangements for the dogs that will be picked up during these sweeps. “I would like to tell Councilman Boykins that I oppose his plans to pick up hundreds of homeless dogs in his District if he does not also make plans to insure that those dogs will actually be seen by the people who would adopt them. 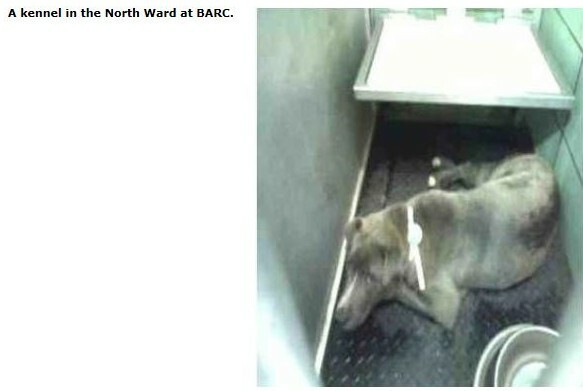 This simply will not happen if the only option is BARC’s overcrowded facility that already kills dogs every single day. Please use some of that $50,000 to create offsite adoption opportunities so that these dogs will have a chance at adoption and so that your plan will not be a death sentence for these dogs and the hundreds of dogs already at BARC who will be killed to make room. If you can’t call, letters, faxes and emails are good too. Below is a copy of my letter to Councilmember Boykins. Feel free to copy and paste any part of it for your own letter. Re: Public safety and saving the lives of homeless pets do not have to be mutually exclusive. They can work together hand in hand. Your office may not be “advocating” for a lethal solution, but that is exactly what will happen with your plan for increased sweeps if you do not also have legitimate plans for increasing adoptions. As you know, BARC is a kill shelter and the city mandated stray hold period is only 3 days before animals can be pulled by rescues, adopted or killed. Increasing intakes, with additional sweeps, absolutely will cause more killing of dogs. The dogs that are brought in during the sweeps will be killed and/or dogs that are already at BARC will be killed to make room for the increased intakes. Since you stated that you do not to want to use any of that $50,000 for free spay/neuter services for that area, you should use some of that money to create at least one offsite adoption facility. This would help ensure that the hundreds of dogs that will be picked up in these sweeps will actually have a chance at adoption and so that hundreds of dogs will not be killed at BARC to make room for the flood of dogs from these sweeps. It does no good to pay BARC $180-$200 per animal to get them ready for adoption, if you do not also insure that they will actually be seen by the people who would adopt them. This simply will not happen if the only option is BARC’s overcrowded facility. Public safety and saving the lives of homeless pets do not have to be mutually exclusive. They can work together hand in hand. Houston, TX – I recently sent a Public Information Request (PIR) to the City of Houston for several years’ worth of minutes of meetings of Houston’s Animal Shelter Advisory* (ASA) committee. I was curious about what this committee actually did for shelter pets. I assumed that the purpose of this “Animal Shelter Advisory” committee is to come up with ideas to help Houston’s shelter pets; as in how to save more of them from being killed at Houston’s five kill shelters. ** At the very least, I expected the ASA committee to work on programs and services to help save more lives at Houston’s high kill pound, BARC . As an example of what other cities have accomplished, Austin’s Animal Advisory Committee worked with their city council to create ordinances which mandated that their pound save at least 90% of the animals…. a Save Rate that Austin’s pound has met or exceeded every year since the ordinances were passed. However, as I was reading through the minutes of a January 2013, Houston ASA committee meeting, I came across information that was shocking beyond belief. The Minutes state that Houston ASA committee member, Chris Souders (Associate Medical Director-Houston Fire Department), requested an “arrangement” with BARC to allow Houston Fire Dept. personnel to practice doing intubations on cats at BARC. And as utterly appalling as that agreement is, it is equally appalling that not one Houston ASA committee member had any objections to Souders’ ghoulish request. In fact, the Minutes say “Action: Neil [Sackheim] will get back with Chris Sounders re: numbers of euthanasias and the general schedule so HFD can see if it can be incorporated.” (AnimalShelterAdvisoryCommMeeting2013-01-30). So, another member of Houston’s ASA committee thought this idea was just peachy and even offered to help make arrangements. Not one person on Houston’s Animal Shelter Advisory committee actually stood up FOR the cats at BARC. Not one. Houston Fire Department memos indicate that, after that January ASA committee meeting, HFD-EMS personnel then discussed the shelter pet experimentation arrangement in meetings on at least 6 occasions. On December 20, 2013, an HFD memo states “The department will support a program to allow paramedics (both interns and veteran) to intubate recently euthanized feline as a proxy for pediatric intubation”. Now imagine that you discover that not only did BARC kill your pet, but BARC’s director allowed his cronies to experiment on your pet. This scenario is repulsive and literally makes my skin crawl, but that is exactly what BARC, Houston’s Animal Shelter Advisory committee and HFD have been planning. The experimentation agreement between these people is beyond repulsive. Instead of working to try to save shelter pets, like Austin’s Animal Shelter Advisory committee did, Houston’s Animal Shelter Advisory committee uses shelter pets for their own personal unlimited supply of bodies. Two hundred and fifteen (215) facilities currently have non-animal simulators which can be used for intubation practice. 2 of those facilities are right here in Houston and 1 is in Galveston. (See “Pediatrics Survey Results 2014-11-13”). Besides being heinous and entirely unnecessary, I believe that this ghoulish experimentation agreement also violates Houston ordinances. 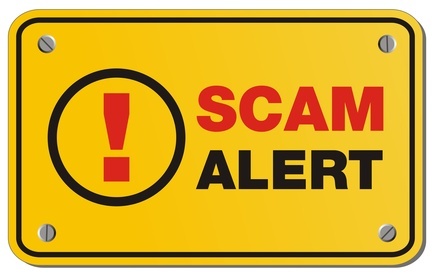 Section 6-138 states “Under no circumstances may an animal be sold or donated for research or teaching purposes to a medical school, licensed hospital, or nonprofit university or college. It is against the law because the animal loving public does not want shelter pets used for experimentation. Dr. Pippin also sent a letter to BARC, HFD and ARA Dept personnel informing them of far superior non-animal alternatives in 215 facilities in the country. (See Dr. Pippin’s letter here DrPippinLtrToHoustonFD) To date, no one from the city of Houston has responded to Dr. Pippin. If those experiments never took place, why didn’t any of these people immediately respond to Dr. Pippin and say so? This arrangement is also a huge conflict of interest on the part of Chris Souders and Greg Damianoff. Since BARC continues to kill thousands of pets year after year, Damianoff can provide a never ending supply of pets to Souders to be used for HFD experiments. There is no incentive for Souders, as a member of the Animal Shelter Advisory Committee, or Damianoff as BARC Director, to do anything that will lead to the end of killing pets at BARC. Are you are curious about the rest of the members on Houston Animal Shelter Advisory committee? According to the City of Houston, below are the names of the people who were on the ASA committee at the time the January 2013 meeting took place. All of these people, except Ms. Gebhardt, are still on the Houston Animal Shelter Advisory Committee today. Looking at these names and positions of these people, it is simply mind boggling that not one of them stood up to protect BARC pets. .
Reporters have recently begun asking the City of Houston questions about this ghoulish agreement. 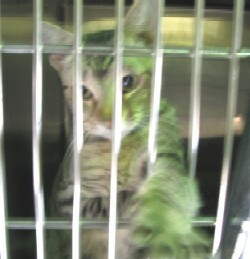 Not surprisingly, personnel at HFD now claim that they have not actually done experimentations on BARC cats. (At least, not yet.) However, IF they have not begun their experimentations, it is not because Greg Damianoff, or anyone on the Houston ASA committee has ever attempted to stop it. In fact, Damianoff told Randy Wallace with Fox 26 news that he had no idea why HFD didn’t follow through with the experiments. The reply? “BARC does not have any responsive information”. But, that statement is a lie because I have the January 2013 meeting minutes in which this very agreement is discussed. BARC should have produced that document in response to my PIR, but they instead lied. I’m sure there are more documents which BARC is legally required to produce, but city of Houston employees continue to lie in an attempt to hide the details of their experimentation agreement from the public. Again, my PIR concerned only HFD’s use of animals for training purposes. I’m sure that since reporters are now asking questions about their experimentation plans, the city is trying to keep this ghoulish, and possibly illegal, agreement hidden from the public. Houstonians, sadly this is what is running Houston’s taxpayer funded “shelter” and this is who is making decisions affecting the lives of shelter pets. Even Annise Parker’s campaign promises that “Houston can do better than this” and after all of BARC’s claims of “transformation”, BARC still has a director who would actually agree to allow shelter pets to be used for experimentation. BARC still has a director who is obviously satisfied to “save some and kill the rest”. With this type of person as the shelter director, I do not believe that BARC will ever stop killing pets. If you are sickened and outraged about Greg Damianoff’s agreement to allow shelter pets to be used for experimentation and if you are sick of the continued killing of thousands of shelter pets month and month, year after year, then please speak up for the animals of Houston. Their lives are in your hands. Please call or send a letter or email to the mayor and city council and tell them you are an animal lover, a taxpayer and a voter and Enough is Enough. It is time to hire someone to run BARC who actually cares about saving lives….. not someone who would make such a grisly agreement. It’s an election year, and the city council members who are running again, will need your votes. So make sure you tell them exactly how they can get your vote. Click here for their contact information. It has come to my attention that BARC’s director, Greg Damianoff, and Houston’s Animal Shelter Advisory committee, made an agreement to allow Houston Fire Dept personnel to experiment on BARC pets. Not only do I find this ghoulish agreement absolutely heinous, but I believe it violates Houston ordinances and federal animal welfare laws. This does not represent the type of person that I believe should be managing the care of shelter pets in Houston. After five years of killing thousands of pets, and macabre deals to allow experimentation on shelter pets, it is clear that Greg Damianoff is NOT the type of person who should be running an animal shelter. BARC’s Save Rate was only 61% in 2014, while hundreds of Open Admission facilities and communities across the country are SAVING 90% to 100% of all animals. BARC’s 61% Save Rate is ludicrous. BARC killed or lost 10,050 animals in 2014. That is 838 pets KILLED BY BARC every single month in 2014. BARC KILLED 28+ pets every single day in 2014 under Greg Damianoff’s management. I ask that you work to hire leadership for BARC who is dedicated to saving all lives, and who is willing to work hard to rigorously implement ALL of the programs and services of the No Kill model of sheltering so that BARC can stop killing shelter pets. This is an election year, and I vote! If you can’t call or write an email or letter, I have created a petition which will send an email to the mayor, all city council members and the director of the ARA Dept (over BARC) every time someone signs. Please sign the petition, then forward it to all of your friends and family. Click here for the petition. * An animal shelter advisory committee is mandated by both Houston city ordinance and Texas state law. Members of Houston’s Animal Shelter Advisory committee are appointed by the mayor and city council. **When Houston’s ASA committee was first being formed five years ago, under Annise Parker’s direction, I contacted several city council members asking to be nominated for the committee. But, I got the run around from several council members saying that another council member was going to make the nomination even Houston ordinances state that any of them could nominate for that committee position. It was quite clear that the mayor and city council did NOT want a person on that committee who would actually advocate FOR the lives of shelter pets. And considering the experimentation agreement that these people made. Mission accomplished. Follow No Kill Texas Advocates, a political animal advocacy group, on Facebook and Twitter, and register to receive their newsletter. Houston, TX – I am continually perplexed and saddened by people who continue to say that No Kill is not possible or can’t be done, despite the fact that it IS already being done. And it is being done not by just one Open Admission shelter and not just by two….. there are now over one hundred Open Admission, No Kill shelters which represents about 500 cities and towns. How can people continue to claim that “it can’t be done” when it already IS being done? From the creation of the very first No Kill community in San Francisco, there were naysayers who made up excuses why it couldn’t be done. They said it can’t be done because “there are too many gay people in San Francisco”. When the San Francisco SPCA started proving them wrong, the naysayers then said it is being done in San Francisco “because” of the large gay population and because “San Francisco is “surrounded by water” —- but it can’t be done in other communities. Even the HSUS and ASPCA have FINALLY admitted what the HSUS/Maddie’s Fund study showed 5 YEARS ago…. that “pet overpopulation” does not exist. There ARE enough homes for the number of pets being killed in “shelters” and pounds; in fact, the number of homes that will get a new pet each year far exceeds the number of pets being killed in “shelters” each year by many million. We can create Open Admission, No Kill pounds and shelters in every community and we can end shelter killing once and for all. It CAN be done. The true problem is an overpopulation of shelter directors who refuse to do their jobs and implement the programs that will end shelter killing. That is the reason that shelter killing still exists. That overpopulation problem could be solved fairly quickly…. with pink slips. “our community is surrounded by swamp land”. These are all excuses that I have heard people use an excuse why certain shelters or communities can’t stop killing shelter pets. These excuses are all demonstrably false. What is perplexing and very sad is that instead of saying “I’m going to study what all of those communities have done to stop killing shelter pets and then I’m going advocate for the implementation of those same programs in my community”, those people just keep claiming that “it can’t be done here”. It is crazy when you think about it. Is it ethical to transport thousands of pets to communities with kill shelters? Houston, TX – There is an odd myth among a lot of people in the south that communities in more northern states do not have kill shelters. Some southerners have said that communities up north are literally begging for more dogs and cats and that their shelters have empty cages because there is such a shortage of companion animals there. I’ve heard many stories about southern rescuers transporting animals up north to what they believe is “mecca”; the magical northern state where no shelter pets are killed. Unfortunately, this belief is fiction. If it were true, No Kill advocacy groups like No Kill Colorado, No Kill Wisconsin, No Kill New York, No Kill New Hampshire, No Kill New Jersey, No Kill Ohio and Animal Ark in Minnesota, would not exist. There would be no need. But they do exist because there are kill shelters in northern states who are killing shelter pets just like in the south. Those northern kill shelters are killing for the exact same reasons that kill shelters in the south are killing….. shelter management refuses to implement the No Kill model of sheltering. 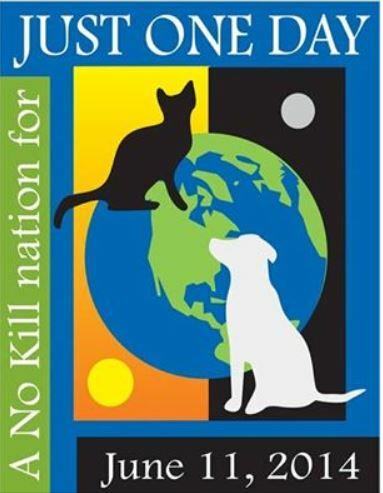 Recently, I was contacted by Davyd Smith, who runs No Kill Colorado. Just like in the south, they are working to end shelter killing in Colorado. Davyd was concerned because he had heard that a Houston group was shipping hundreds of animals to CO. He was also concerned because he heard that Houston city council was considering giving this group more than $400,000 to ship thousands more BARC animals to their communities while they are fighting their own battles to end shelter killing. It turns out Davyd was right. I later received BARC’s proposed budget confirming that BARC was asking for $415,000 to pay Rescued Pets Movement (RPM) to transport BARC animals to CO.
Obviously, it is a good thing when animals are pulled to safety from BARC, which is Houston’s pound that killed/lost 12,500+ shelter pets last year. Over the years, I’ve pulled a lot of animals out of BARC either by adoption or by fostering and believe me, I understand the desperation of rescuers who stand in front of perfectly wonderful, adoptable animals that are slated for death at BARC the next day if no one pulls them. I’ve looked into those innocent faces and I understand the sadness and frustration of not being able to save them all because Houston’s pound in run by management that absolutely refuses to implement the No Kill model of sheltering that has been proven to save lives. And, I’ve seen the pictures with all the cute shelter pets being loaded onto vans headed for that promised “mecca”. I understand how some rescuers would be desperate to believe in that mecca. But, we cannot look at transports in a vacuum. We cannot turn a blind eye to what is happening at the other end of the transports. To do so would be, at the very least, unethical. If we ship hundreds or thousands of shelter pets to other communities with kill shelters, that means that rescuers in those communities will not be able to pull animals off the kill lists. Therefore, animals in those kill shelters are killed. Can we really call this saving lives? Isn’t this just exchanging one life for another? Do Houstonians have the right to “dump” the problems of our high kill shelters on other communities who are also struggling to save lives? Is it ethical to make Houston’s kill shelter’s numbers look better at the expense of animals in another community? I do not believe it is ethical, nor is it a viable humane solution. It is not fair to the rescuers in Colorado who now have to scramble even harder to save Colorado shelter pets lives because some of their foster parents and rescue groups are loaded up with Houston pets. It is not fair to the shelter pets in Colorado who are on death row but will not be pulled to safety by a rescue group or foster parent because those rescuers are full with Houston pets. “A logical person would be inclined to ask, “If the transports result in no net life-saving (and they don’t), then why do they happen?” It was a question I was able to ask the director at a southern shelter that regularly ships dogs to New York. The shelter in question was the Huntsville, Alabama animal control facility. The shelter’s director, Dr. Karen Sheppard, has maintained a miserable save rate. She is currently saving only about 25% of the cats for which she is responsible, for example. In fact, I DO know why she, and others like her, are shipping animals to communities that are still killing large numbers of their own animals: It makes all of the shelters look like they are doing better than they actually are. Sheppard herself has recently been credited with “improving” the “save rate” for dogs to nearly 50%. However, a careful look at the statistics shows that nearly all of the “improvement” is the result of the transport of dogs to New York. This seems to be a very controversial and heatedly debated topic here. In fact, I posted questions on RPM’s Facebook page asking them if they knew that communities that they are transporting thousands of animals to are NOT No Kill communities meaning these transports could very well cause CO shelter pets to die. I even posted some of the Colorado statistics. No answer was forthcoming from RPM, but some RPM supporters immediately jumped in and called me a liar. There was no attempt to even look at facts; just the immediate spewing of lies and vulgarity. I have records from Colorado that rescue groups and shelters are required to file with the state. It clearly shows that the communities where RPM is shipping BARC animals DO have kill shelters that are killing shelter pets. Sometimes, more than one kill shelter. The numbers are there. Yes, they have lower kill rates than BARC, but they are still killing adoptable shelter pets. But, apparently RPM and supporters, do not want to look at facts about the cities where they have sent over 2,600 animals, and the consequences they can cause. To add to my concerns of Colorado shelter pets being killed because of these transports, additional very troubling information was forwarded to me. I received copies of a Complaint filed against one of the rescue groups in Colorado (New Hope Rescue) where RPM shipped BARC pets. The investigation of New Hope includes pictures of animals being kept in absolutely filthy conditions. The house where many animals were roaming free, shows feces and urine all over the house; not just in cages as BARC’s director, Greg Damianoff, told a reporter; it is EVERYWHERE. It looks like a hoarding house. (The Complaint and investigative reports are linked at the bottom of this blog and pictures from the investigations are posted below). The investigation report shows multiple visits to the New Hope house with multiple problems noted on multiple dates. The report says that the ammonia level in one room was so high that the animals in the room were confiscated and taken to animal control…..a KILL shelter in Colorado Springs. These were animals shipped to New Hope by RPM. So, BARC animals were pulled from one kill shelter and ended up in another kill shelter in another state. Look at the pictures, and read the Complaint and investigation report. Ask yourself if you would be concerned to know that BARC shelter pets were being shipped there. Ask yourself if you would be concerned when the photos and investigation are shown to RPM and BARC director, Greg Damianoff but are simply dismissed as “just mess in a puppy cage”. Ask yourself if you think this whole situation is a good solution. One of RPM’s founders, Laura Carlock, recently told a reporter, that she personally visited all of the locations where they are transporting BARC animals. RPM also issued a statement saying “We have VERY close relationships with the groups in Colorado with whom we work. Very close. We correspond with them no less than 15 times a day“. This causes me great concern because I have trouble believing that the New Hope hoarding house got in that condition overnight. Included in the Complaint is a handwritten letter from a former New Hope foster parent complaining of the conditions. She stated that New Hope was having spay/neuter surgeries performed in a trailer that was someone’s home, not a vet clinic. She also stated that New Hope refused to use any of the $50 per pet that RPM paid them on vet care for foster animals. The New Hope foster animals she was caring for were sick, but she was told New Hope would not pay for medical care. It seems to me that New Hope was using this RPM transport situation as way to make some money. Colorado records show that most of the animals that New Hope took in were from out of state; 263 out of 307 dogs and 65 out of 76 cats taken in were transports from out of state If all of the out of state animals New Hope took were from RPM, then New Hope made $16,400 from that deal and used none of it to provide vet care for those animals. That is quite a racket. (Records do not indicate where New Hope got all of their transported animals, and RPM has been less than forthcoming when questions have been asked). After a local news report recently aired about this serious situation, RPM sent out an emailed statement claiming that the “Colorado community is furious”. I have to think that the people who are furious are the people that RPM has been paying $50 per animal to take BARC animals. Raising awareness of the situation is a threat to their money train. The people in Colorado who are genuinely concerned about shelter killing in their community and who are working to end it, are upset that Houston is transporting thousands of shelter pets to their communities (over 2,600 shipped by RPM). In fact, they have asked Houston/RPM to stop transporting animals there until they end shelter killing in their communities. I think it is a reasonable request. But, it appears that the city of Houston, RPM, and the CO rescuers getting paid, are willing to turn a blind eye and ignore the serious issues they are causing. This week, the mayor agreed to give RPM $265,000 tax dollars for thousands more transports to Colorado. This will, of course, artificially improve the appearance of BARC’s save rates. Apparently, the promise of big bucks, and inflated live release rates are blinding them all to the killing of shelter pets that are already in Colorado. In RPM’s recent email, they make a number of false statements. I would like to clear up a few of the false statements that were made about me and No Kill Houston. 1) I never told the reporter that spay/neuter was the only answer. I don’t believe that it is and I have said this repeatedly. Free and low cost spay/neuter is “part” of the No Kill solution but it is one of several solutions that I offered to the reporter that would save more lives and not burden another community with Houston shelter pets. I told the reporter about many of the programs and services of the No Kill Equation that must be implemented to end shelter killing. I even gave her a brochure explaining all of the programs of the No Kill model of sheltering. I gave her a lot of information, but most of it did not air because of time constraints. 2) I also told the reporter that part of that $330,000 would be better spent on offsite adoption locations all over the city. I have been saying this years. In fact, in 2009, No Kill expert, Nathan Winograd told BARC that offsite adoptions were essential to raising save rates. No Kill shelters have found this to be critical in many cases because some people absolutely will never, ever go to a facility like BARC because they kill animals there. They cannot take it. The problem is compounded because BARC is hidden away, on a dead end street, in an industrial part of town where no one would ever just drive by and see them. Houston is also 600 square miles, so there are many people who live so far away that they would never drive to BARC to adopt, even if they know where it is. Offsite adoptions, in high traffic, highly visible areas, all over the city are CRITICAL to saving more lives at BARC. This was proven to BARC management when they organized a very successful, well marketed offsite adoption event in 2011. I wrote about it here. At that adoption event, BARC actually ran out of animals! They had to go back and get more BARC animals; they told their foster parents to bring their fosters and sent some of the people to BARC to adopt. It was July and the temperature had been around 100 degrees but people waited in long lines in order to adopt. (See a picture at the link above). By the end of the weekend, BARC had adopted out more than 400 animals. It was more than BARC had adopted out in the entire previous month. It literally cleared out the kennels at BARC. Since BARC management has personally experienced how successful this offsite adoption event was, a rational person would expect to see more of them, if not every day, at the very least, every weekend. But that is not happening. 3) I also told the reporter that if BARC would implement the same successful Return to Owner program that Washoe County animal control uses to return 60% of their animals to owners who want them back (vs. BARC’s 7% Return to Owner rate) that it could save the lives of more that 8,000 lost pets per year, empty out more than 8,000 kennels per year and SAVE over $900,000 per year in the process. I gave her this article. This program would be easy to implement and not require a lot of additional funding, but the returns would be enormous in both life saving and money saved. Nathan Winograd told BARC/city of Houston leadership this in 2009, but, they have yet to implement it. In short, we talked about a lot of life saving alternatives that could be implemented that would not involve dumping Houston’s pets on other struggling communities. But, none of that made it to the air, or even the online version of the report. 4) Ms. Carlock’s statement to the reporter that the only 2 options for death row BARC animals is transporting them to another state or death is absolutely and demonstrably false. As I stated above, there are a lot of alternatives. There are ten programs and services that are being implemented by hundreds of communities that have been proven to save all healthy and treatable pets i.e. 90% to 99%. None of those programs include transporting thousands of pets to other communities with kill shelters. 5) RPM stated that “No Kill Houston has not saved one single dog from BARC”. This was used as some sort of argument that No Kill Houston should not be allowed to express concerns about serious issues involving BARC pets. Apparently, RPM does not comprehend that No Kill Houston is an advocacy group. It has never claimed to be a rescue group and therefore does not pull animals from kill shelters under No Kill Houston’s name. However, I have personally pulled more animals than I can count from BARC to foster, or adopt, both dogs and cats. I have also fostered for a number of the rescue groups who pull animals from BARC. But, regardless of those facts, contrary to RPM’s statement, concerned citizens are not required to have a BARC dog in their home in order to be “allowed” to express concerns about BARC animals. We are not required to have a BARC dog in order to speak out for animals about serious issues that we see, or when animal lives are in jeapardy. We are not required to have a BARC dog in order to advocate for the solutions that have been proven to work to save 90%+ of all shelter pets all over the country. If that ridiculous argument were true, few people would be able to speak out and effect changes in other situations where animals are in danger such as puppy mills, inhumane zoos or circuses, inhumanely treated lab animals or endangered wildlife. If we paid attention to RPM’s senseless argument, we would all have to have puppy mill dogs, elephants, lab animals and wild life in our homes in order to have the privilege of speaking out for animals. It is absurd. 6) RPM stated that No Kill Houston and No Kill Colorado are “fringe” groups. That statement would be comical if it wasn’t coming from a rescue group who say that they are working to save shelter pets. The fact that RPM board members are apparently unaware that there are more than 500 cities and towns with Open Admission No Kill shelters is tragic. The fact that RPM board members have not educated themselves on exactly what these communities are doing to become No Kill communities is even more tragic. The fact that RPM is trying to recreate the wheel, using hundreds of thousands of tax dollars and using a program that has not created a single No Kill community…. a program that, in fact, puts lives in other communities in jeopardy, is shocking. That fact that the city of Houston, and therefore, we are funding this smokescreen to cover BARC’s high kill rates, is appalling. Just as there are kill shelters in across the country, there are also Open Admission, No Kill shelters across the country. In fact, there are at least 8 Open Admission, No Kill shelters/communities right here in Texas. All of those No Kill shelters have one thing in common. They have leadership who is dedicated to saving lives. They have compassionate hardworking leadership, who are willing to do what has been proven to work. If you are not familiar with how hundreds of Open Admission shelters have stopped killing shelter pets, I urge you to do some research. You can start at the webpages for No Kill Houston and the No Kill Advocacy Center. Below are pictures taken during the investigation of New Hope Rescue and the seizure of BARC animals from New Hope’s property.